Ritualistic, spontaneous, improvisatory, disciplined, anarchic, unfashionable, indifferent, insatiable, obsessed, risk-taking yet curiously wedded to routines: Lucian Freud’s life (1922-2011) was a mass of self-imposed contradictions, while his art was almost alarmingly focused, intense and unremitting, and the product of unvarying determination. He never, from his hallucinatory early drawings, prints and paintings on a relatively small scale to the paintings of his last decades, with rich thick impasto, and occasionally crowded with figures, deviated from his obsession not only with the observed world, but his observed world. The exhibition “Lucian Freud Portraits” at London’s National Portrait Gallery collected more than 100 works from museums and private collections - the first major show since the artist died on 20 July 2011, but in which he was involved until his death. It will perhaps be the culmination of his lifetime’s preoccupation with private faces in public places, and public faces in private places - for many of those he painted were never identified by name. THE EXHIBITION "HOUGHTON REVISITED", WHICH RUNS UNTIL NOVEMBER 24 AT HOUGHTON HALL IN NORFOLK, ENGLAND, MUST COUNT AS THE MAJOR UK-RUSSIAN VISUAL ARTS PROJECT OF 2013. 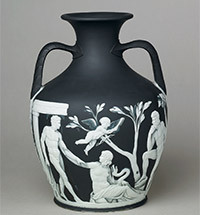 70 WORKS FROM THE WALPOLE COLLECTION, ASSEMBLED BY BRITAIN'S FIRST PRIME MINISTER SIR ROBERT WALPOLE IN THE EARLY 18TH CENTURY, AND THEN SOLD IN 1779 TO CATHERINE THE GREAT TO BECOME PART OF THE HERMITAGE, RETURNED TO HANG IN THEIR ORIGINAL HOME AT HOUGHTON HALL, IN ROOMS REMODELLED TO MATCH THEIR ORIGINAL SURROUNDINGS. The world’s largest collection of personalities and faces from the late Middle Ages to the present day, London’s National Portrait Gallery is the oldest such institution in the world, founded in 1856 on a strong intellectual base which was a consensual attitude at the time: the 19th-century emphasis on the ways in which individuals influenced, and indeed led the events of history. One of its major supporters was the leading historian Thomas Carlyle, who also was an early trustee. 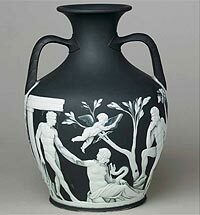 America's great collections are almost exclusively based on private initiatives, sometimes subsidised by direct public support and a sympathetic tax system. These varied histories, often historic microcosms of the social and economic events of their times, make for many different stories. One of the country's most interesting and unexpected collections, the Sterling and Francine Clark Art Institute in Williamstown, Massachusetts, was built partly on the profits of the hugely successful and transformative domestic invention of the late-19th century, the Singer Sewing Machine. With architectural expansion at the Clark Institute continuing, some of its greatest works by the French Impressionists are on a world tour: the exhibition "From Paris: A Taste for Impressionism Paintings from the Clark" is currently at London's Royal Academy, after four previous stops in America and Europe; future showings include Montreal, Japan, Shanghai and Seoul, where "From Paris..." ends its journey in 2014. Ritualistic, spontaneous, improvisatory, disciplined, anarchic, unfashionable, indifferent, insatiable, obsessed, risk-taking yet curiously wedded to routines: Lucian Freud’s life (1922-2011) was a mass of self-imposed contradictions, while his art was almost alarmingly focused, intense and unremitting, and the product of unvarying determination. He never, from his hallucinatory early drawings, prints and paintings on a relatively small scale to the paintings of his last decades, with rich thick impasto, and occasionally crowded with figures, deviated from his obsession not only with the observed world, but his observed world. 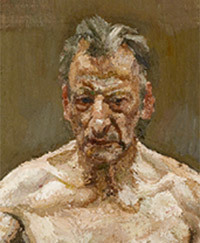 The exhibition “Lucian Freud Portraits”, running at London’s National Portrait Gallery until May 2012, collects more than 100 works from museums and private collections – the first major show since the artist died on 20 July 2011, but in which he was involved until his death. It will perhaps be the culmination of his lifetime’s preoccupation with private faces in public places, and public faces in private places – for many of those he painted were never identified by name.